The BIO4SELF 6th meeting. NTT, Florence. May 6-7, 2018. 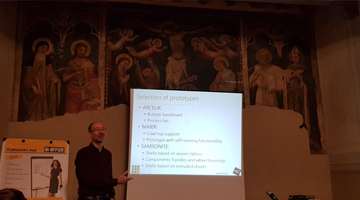 Next Technology Tecnotessile NTT, Florence. May 6-7, 2018. 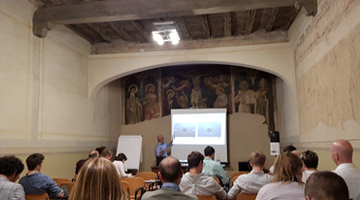 The BIO4SELF partners gathered for the M27 general assembly in the beautiful Florence, in the complex of “Il Fuligno”, in the city centre. The objectives were to report on the latest outcomes of filaments, materials selection, and processes set up to update the business plan and the exploitation of results from industrial partners, who started the pilot products production. 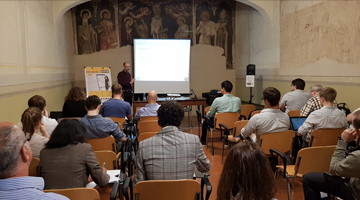 The opportunities of project results exploitation were further investigated during a small workshop run by the local EEN (Enterprise Europe Network), Eurosportello, also for industrial entities outside of the project partnership. The meeting was concluded by a visit to Next Technology Tecnotessiletechnology labs in Prato.